" Within each finger there can be different numbers of cysteine and histidine residues tetrahedrally coordinated to zinc. Individual zinc finger proteins possess different numbers of zinc finger motifs sequentially repeated within a binding domain that targets nucleic acid (RNA or DNA, single or double stranded) or protein. 3 A. Klug and J. W. R. Schwabe, FASEB J. 9, 597 (1995). 4 K.-D. Kroncke and V. Kolb-Bachofen, Methods Enzymol. 269, 279 (1996). 5 X. Wu, N. H. Bishopric, D. J. Discher, B. J. Murphy, and K. A. Webster, Mol. Cell. Biol. 16, 1035 (1996). 6 L. Zheng, S. Li, T. G. Boyer, and W.-H. Lee, Oncogene 19, 6159 (2000). 7 S. Kuroda, C. Tokunaga, Y. Kiyohara, O. Higuchi, H. Konishi, K. Mizuno, G. N. Gill, and U. Kikkawa, J. Biol. Chem. 271, 31029 (1996). 10 J. Liden, F. Delaunay, I. Rafter, J.-A. Gustafsson, and S. Okret, J. Biol. Chem. 272, 21467 (1997). 11 Y. Sun and L. W. Oberley, Free Radic. Biol. Med. 21, 335 (1996). 12 R. G. Allen and M. Tresini, Free Radic. Biol. Med. 28,463 (2000). 13 K.-D. Kroncke and C. Carlberg, FASEB J. 13, 166 (2000). 14 B. S. Berlett and E. R. Stadtman, J. Biol. Chem. 272, 20313 (1997). A critical member of the nuclear and steroid receptor superfamily essential for normal reproductive gland function and whose transcriptional overexpression contributes to the development of most human breast cancers is the zinc finger transcription factor estrogen receptor (ER, a isoform).8 ER activity is regulated allosterically by ligand binding with either an agonist (estrogen) or antagonist (antiestrogen). On binding to an agonistic ligand, homodimerization and DNA binding by the activated ER complex occurs, producing trans-activation of ER-inducible genes. As with many other well-described transcription factors, a number of intracellular proteins and conditions (e.g., ER phosphorylation) are thought to modulate the binding of ligand-activated steroid receptors to cognate response elements (e.g., the estrogen response element, ERE) within the inducible gene promoter. Dimerization of ER, in particular, is necessary for DNA binding; and at least two dimerization domains have been mapped within the full-length receptor, one in the DNA-binding domain near the second zinc finger and the other in the more C-terminal ligand-binding domain of ER. Interference with either of the two Cys4-type zinc finger structures located in the ER DNA-binding domain diminishes ER dimerization, DNA binding, and frani-activation of ERE-containing target gene promoters. 15 T. Finkel and N. J. Holbrook, Nature (London) 408, 239 (2000). 17 H. Kimura, R. D. Braun, E. T. Ong, R. Hsu, T. W. Secomb, D. Papahadjopoulos, and K. Hong, Cancer Res. 56, 5522 (1996). As a Cys4-type zinc finger protein, ER is also expected to be redox sensitive. 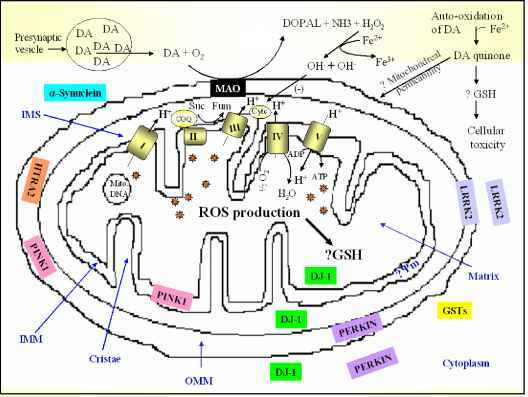 Interestingly, the trans-activating and DNA-binding capacities of ER have previously been shown to be modulated by the redox effector protein, thioredoxin.22 Moreover, thiol-specific oxidation of ER appears to account at least partially for the fact that otherwise intact (67 kDa) and immunoreactive ER present in about one-third of all ER-overexpressing primary breast tumors appears to be completely unable to bind DNA when assayed in vitro in either the presence or absence of exogenous zinc.23-25 This ER DNA-binding dysfunction is partially reversible under strong thiol-reducing conditions (excess dithiothreitol [DTT]), indicating that mild cysteine oxidation has occurred with tumor growth in some of these samples. However, free radical intermediates formed under stronger oxidant stress can also alkylate cysteine and noncysteine residues in and outside of the ER DNA-binding domain, which would then result in nonreversible ER dysfunction, as found in the majority of breast tumor samples exhibiting loss of ER DNA-binding capacity. 18 J. H. Fishman and J. Fishman, Biochem. Biophys. Res. Commun. 152, 783 (1988). 19 P. F. Predki and B. Sarkar, J. Biol. Chem. 267, 5842 (1992). 20 T. W. Hutchens, M. H. Allen, C. M. Li, and T.-T. Yip, FEBS Lett. 309, 170 (1992). 21 J. H. Freedman, R. J. Weiner, and J. Peisach, J. Biol. Chem. 261, 11840 (1986). 22 S.-I. Hayashi, K. Haijiro-Nakanishi, Y. Makino, H. Eguchi, J. Yodoi, and H. Tanaka, Nucleic Acids Res. 25,4035 (1997). 23 G. K. Scott, P. Kushner, J. L. Vigne, and C. C. Benz, J. Clin. Invest. 88, 700 (1991). 24 P. A. Montgomery, G. K. Scott, M. C. Luce, M. Kaufmann, and C. C. Benz, Breast Cancer Res. Treat. 26, 181 (1993). 25 X. Liang, B. Lu, G. K. Scott, C.-H. Chang, M. A. Baldwin, and C. C. Benz, Mol. Cell. Endocrinol. 146, 151 (1998). 26 R. M. Whittal, C. C. Benz, G. Scott, J. Semyonov, A. L. Burlingame, and M. A. Baldwin, Biochemistry 39, 8406 (2000). 27 J. B. Fenn, M. Mann, C. K. Meng, S. F. Wong, and C. M. Whitehouse, Science 246,64 (1989). 29 A. M. Last and C. V. Robinson, Curr. Opin. Chem. Biol. 3, 564 (1999). 30 T. D. Veenstra, L. M. Benson, T. A. Craig, A. J. Tomlinson, R. Kumar, and S. Naylor, Nat. Biotechnol. 16, 262 (1998). 31 H. E. Witkowska, C. H. L. Shackleton, K. Dahlman-Wright, J. Y. Kim, and J.-A. Gustaffson,./. Am. Chem. Soc. 117,3320(1995). 32 Y. Hathout, D. Fabris, M. S. Han, R. C. Sowder II, L. E. Henderson, and C. Fenselau, Drug Metab. Dispos. 24, 1395 (1996). 32a J. E. Meza, C. C. Benz, G. K. Scott, and M. A. Baldwin, in preparation (2002). 33 X. Chen, M. Chu, and D. P. Giedroc, J. Biol. Inorg. Chem. 5, 93 (2000). of a peptide or protein can be determined by ESI from acidified solution, infusing from a syringe pump a 5-10 /iM solution of the protein or peptide in H20-methanol (1:1, v/v) acidified with 1% (v/v) acetic acid, directly into the ESI source. Alternatively, an ESI-MS instrument is readily interfaced with the HPLC, perhaps using a 1-mm i.d. reversed-phase (RP) column with 300-A pore size and 5-/xm particle size. This allows samples to be desalted by injection onto the HPLC before being transferred to the mass spectrometer. Typically solvent A is water with 0.06% (v/v) trifluoroacetic acid (TFA) to control pH, and solvent B is 80% (v/v) acetonitrile with 0.052% (v/v) TFA at a flow rate of 50 /xl/min. Mass spectrometric sensitivity may be adversely affected by TFA, in which case this may be replaced with formic acid, and acetonitrile can be replaced by a 5 :2 mixture of ethanol and n-propanol.34 The column effluent should pass through a UV flow cell and then, depending on the optimum flow rate for the ESI source, may be split such that ~10% passes into the ESI source of the mass spectrometer and the balance can be collected in fractions for later studies. Alternatively, a capillary column operating at lower flow rate will allow the entire effluent to be transferred without splitting. Mass spectra should be recorded and accumulated continuously throughout the running of each sample. The UV chromatogram recorded at 215 nm can then be compared with the total ion current (TIC) trace obtained from the mass spectrometer. ESI spectra corresponding to peaks in the UV and TIC traces can be selected manually for averaging and deconvolution, using software provided by the mass spectrometer manufacturer. The conventional RP-HPLC conditions of low pH are denaturing and do not support the formation or maintenance of noncovalent complexes. To study a metal-loaded holoprotein such as a zinc finger protein at neutral pH, it must be introduced via a syringe pump. The buffer should contain 5-10 ¡iM protein in 2.5 mM ammonium acetate solution (pH 7.4)-10% (v/v) methanol, and varying concentrations of Zn2+ diluted from zinc(II) sulfate stock solution. A reducing agent such as 100 /xM DTT may be included to inhibit aerobic oxidation. The methanol is needed to enhance the spray formation. Ammonium acetate is favored because it is volatile and will not contaminate the ESI source with salt deposits; ammonium formate or bicarbonate can also be used at either lower or higher pH respectively. Each solution should be infused to establish a steady state, and then the spectra can be recorded and averaged over a period of a few minutes. 34 K. F. Medzihradszky, D. A. Maltby, S. C. Hall, C. A. Settineri, and A. L. Burlingame, J. Am. Soc. giving a distribution of multiply charged species. This is observed as a series of peaks, separated according to their mass/charge (m/z) ratios. This series can be mathematically deconvoluted to give a single profile for the molecular weight. Because of heavy isotopes such as 13C, 15N, and lsO, each molecule gives a cluster of peaks with individual components separated by 1 Da. These are easily separated for small peptides, the "monoisotopic" molecular weight being defined by the mass of the first peak in the cluster. For larger peptides and proteins these may not be resolved, in which case an "average" mass is derived from the overall profile of the cluster.35 Quantitative data can be derived from the raw mass spectra by addition of the signal intensities from all of the individual charge states, or from peak intensities in the deconvoluted spectra. For recombinant ER-DBD of Mr ~11.2 kDa, the isotopic components at adjacent masses could not be resolved by either mass spectrometer, and therefore the measured mass of each peak, representing an average of the distribution of all isotopes present, was compared with the value calculated from average atomic masses. For synthetic peptides and peptides originating from tryptic digestion, the isotopic clusters were resolved by the oa-TOF mass spectrometer to give separate peaks, giving the monoisotopic molecular mass. Using well-established techniques, the 84-residue DNA-binding domain of the estrogen receptor (ER-DBD) with an N-terminal histidine tag was expressed in Escherichia coli as a protein of 99 amino acids (Fig. 1), and purified by immobilized metal ion affinity chromatography (IMAC). Activity was confirmed by a positive EMS A response for binding to the cognate ERE. Some samples were subjected to chemical treatments such as oxidation, reduction, or alkylation before separation and analysis by HPLC-MS. Other experiments were conducted by direct infusion of samples into the ESI mass spectrometer without HPLC separation. The UV chromatogram and total ion current trace for a typical HPLC separation showed a single chromatographic peak, but ESI-MS revealed that this contained two coelut-ing components. The measured Mr of the lower mass component (11,232.7 Da) was close to that calculated for fully reduced ER-DBD (11,232.9 Da), whereas the mass of the second component was higher by ~14 Da. Digestion with trypsin and HPLC-MS separation identified the adduct as an N-terminal methylation, presumably occurring during protein expression. 35 S. A. Carr, A. L. Burlingame, and M. A. Baldwin, in "Mass Spectrometry in Biology and Medicine" (A. L. Burlingame, S. A. Carr, and M. A. Baldwin, eds. ), p. 553. Humana Press, Totowa, NJ, 2000.